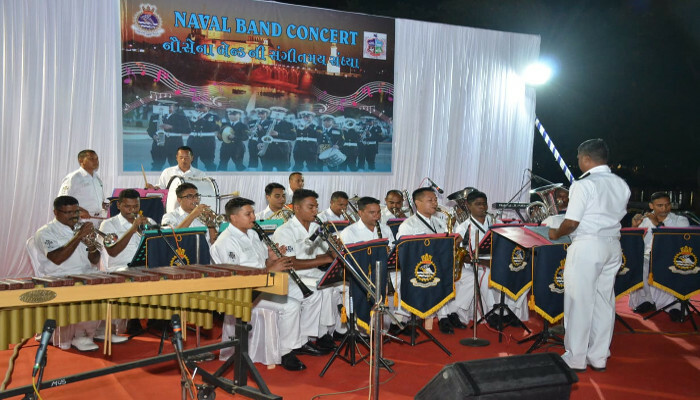 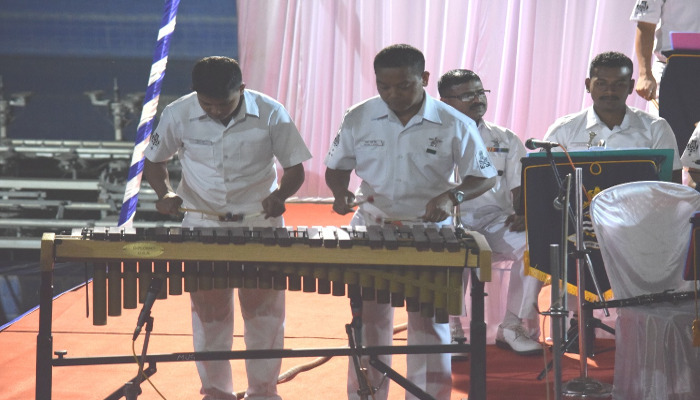 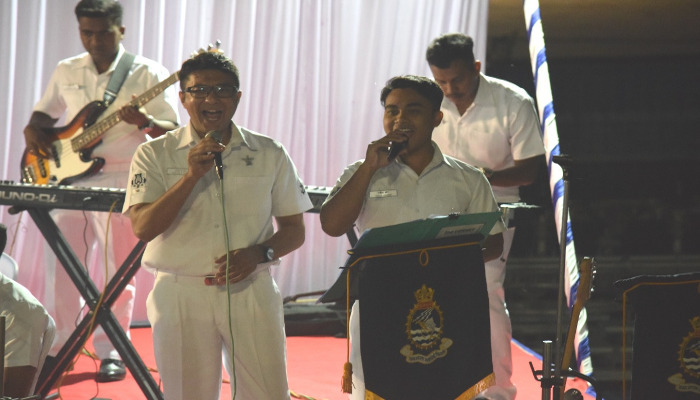 As part of Navy Week 2018 activities, the Navy Band, INS Valsura performed at Lakhota Lake Amphitheatre, Jamnagar on 24 November 2018. 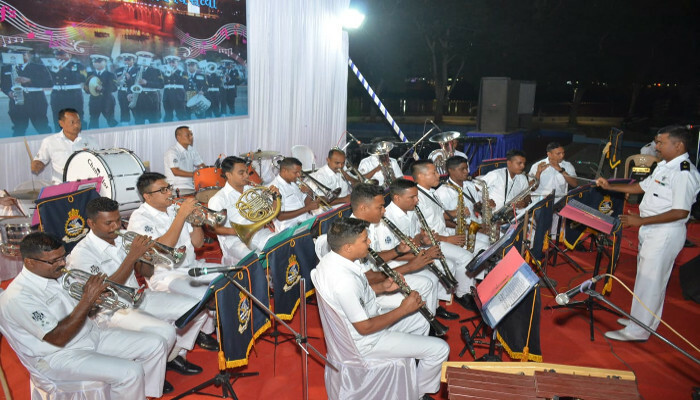 The performance included a brass band section, singing popular patriotic songs, classical music, folk and regional songs popular with the local citizens and martial tunes of the three Services. 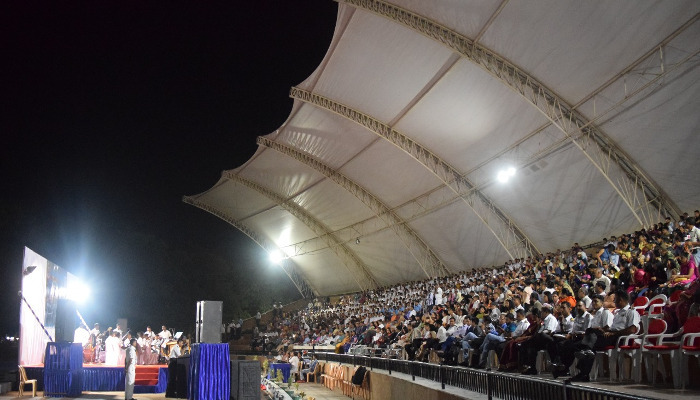 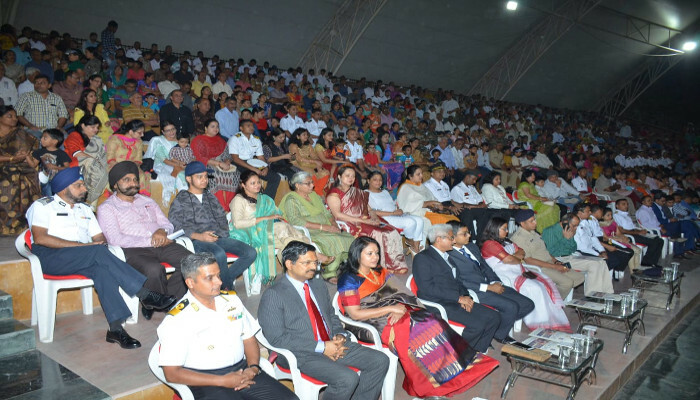 The concert culminated with the tri-Service song and 'Saare Jahan se Achchha'. 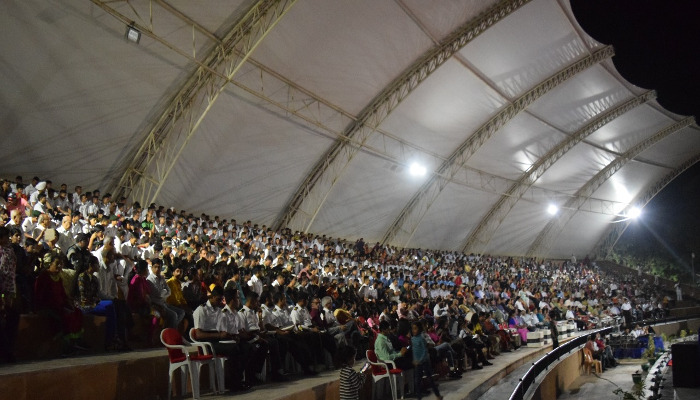 The performance was open to all and received an overwhelming response from the citizens of Jamnagar. 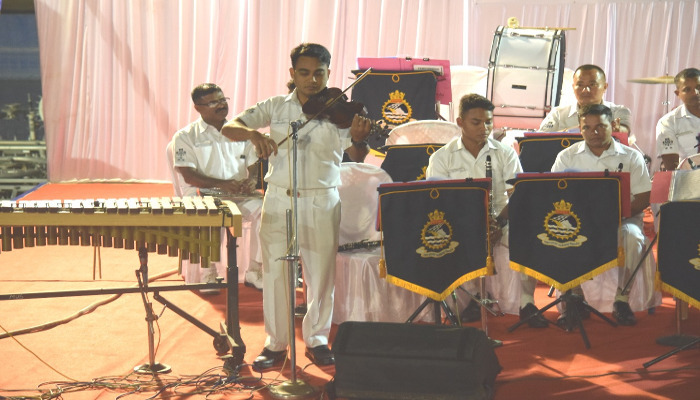 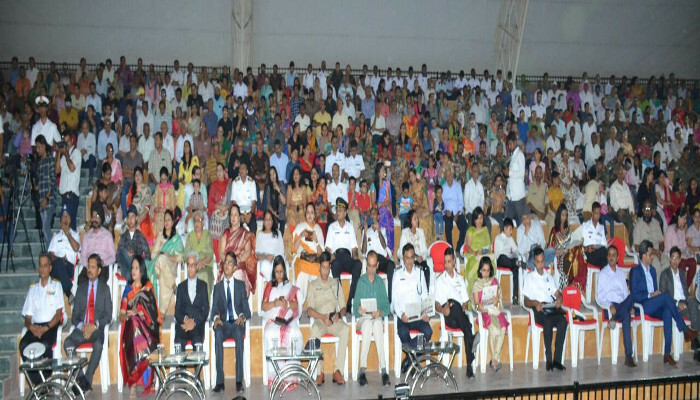 In addition, school children, NCC Cadets, senior officers from sister services, as also dignitaries from the Sashastra Seema Bal, Jamnagar Municipal Corporation, Gujarat Police, educational institutions and industry houses also witnessed the performance. 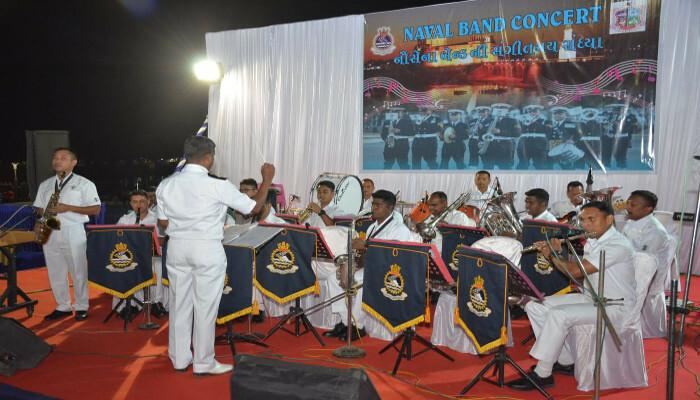 Dr Jagdip Narayan Singh, IAS, Chief Secretary to the Govt of Gujarat was the Chief Guest and felicitated the Navy Band.